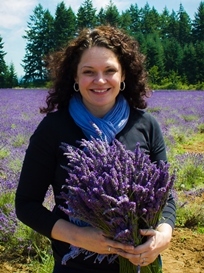 I love to visit the beautiful lavender farms around Portland. Lavender is also my favorite essential oil for relaxation and for its wide range of uses. I use lavender every day as my perfume, just a drop behind each ear and it is my favorite oil to diffuse in my home. Sometimes I add a few drops of lemon oil with it for a fresh, clean scent. 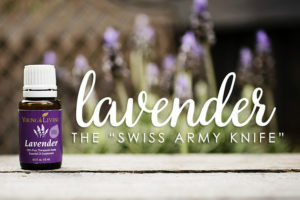 Lavender oil has been called the “Swiss army knife” of oils because it is so versatile. 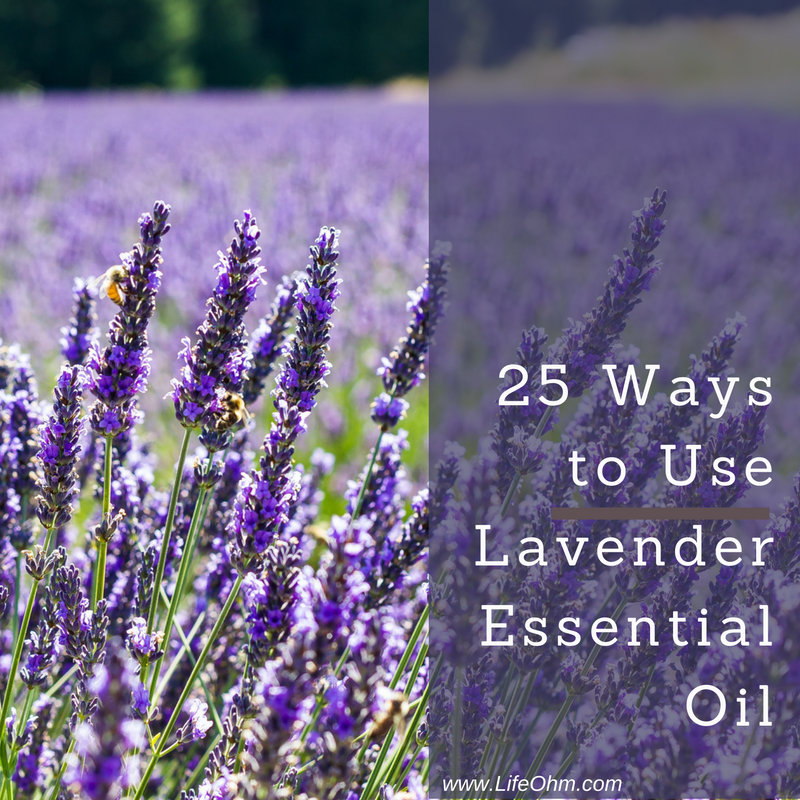 Here are 25 ways that you can begin using lavender essential oil too. Inhale: Place 2-3 drops on your palm. Place over your nose to inhale for relaxation. Laundry: Place 2-3 drops on a cotton cloth and put in your dryer for fresh smelling clothes. It’s important to note that quality matters. Not all essential oils are created equally, that is why I recommend YoungLiving. Learn the best way to order essential oils. Now it’s your turn: How do you use essential oil? What is your favorite use? Share your thoughts below. I love your idea to spritz lavender oil onto my pillow or to use it as a sheet spray. My career involves a lot of high-stress tasks. Even though I’m tired when I get home from work, it can be hard for me to relax and fall asleep after being tense at work. I’m sensitive to smells, so maybe this could help.